In the middle of the twentieth century, the music of the Mississippi Delta arrived in Chicago, drawing the attention of entrepreneurs like the Chess brothers. Their label, Chess Records, helped shape that music into the Chicago Blues, the soundtrack for a transformative era in American history.But, for Leeba Groski, Chess Records was just where she worked ...Leeba doesn't exactly fit in, but her passion for music and her talented piano playing captures the attention of her neighbor, Leonard Chess, who offers her a job at his new record company. What begins as answering phones and filing becomes much more as Leeba comes into her own as a songwriter and befriends performers like Muddy Waters, Howlin' Wolf, Chuck Berry, and Etta James. 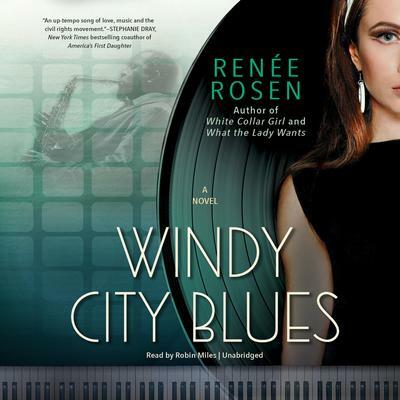 But she also finds love with a black blues guitarist named Red Dupree.With their relationship unwelcome in segregated Chicago and shunned by Leeba's Orthodox Jewish family, Leeba and Red soon find themselves in the middle of the civil rights movement, and they discover that, in times of struggle, music can bring people together.